Fashion is constantly evolving. Shapes, patterns, textures, colours change season to season. I’ve always enjoyed fashion. I think for a lot of people it’s a way to express themselves and be creative; when you add crafting to the mix, it can be an extremely satisfying experience. When I worked at a yarn store customers would often seek advise on colours. Colour can make or break your project. It can elevate a piece to fashion forward or calm it down to basic staple. Both have their place and their value. It really depends on one’s style and need. That’s why I’ve always shied away from giving customers a definitive answer. 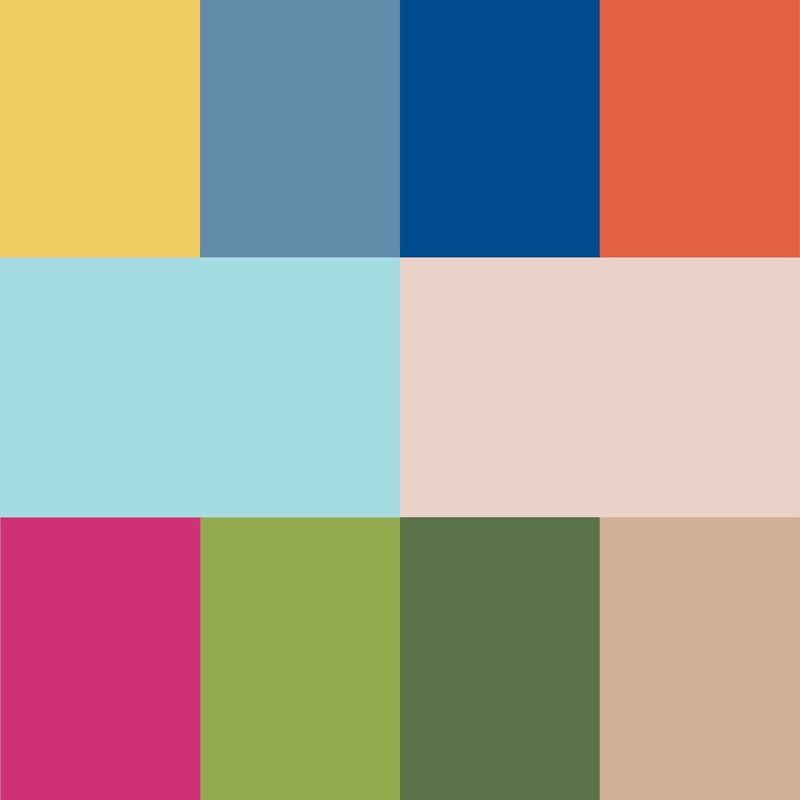 Here is a colour palette for spring/summer 2017. All of these colours look great together in any combination. So go and play with fashion and colour!